The following Food & Drink Magento Layout is actually a superb blend of awesome style and design and gorgeous capabilities of the great internet store. 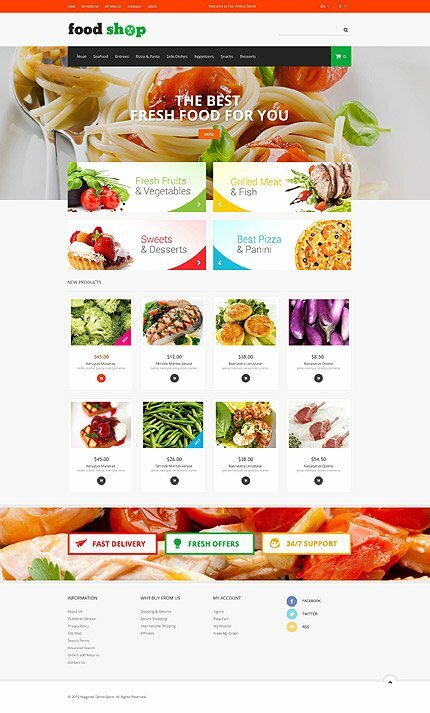 Sell ingredients or food and drinks equipment, or nearly anything with this beautiful Food & Drink Magento Template. Look at the design plus every one of the features that are available inside the live demonstration! 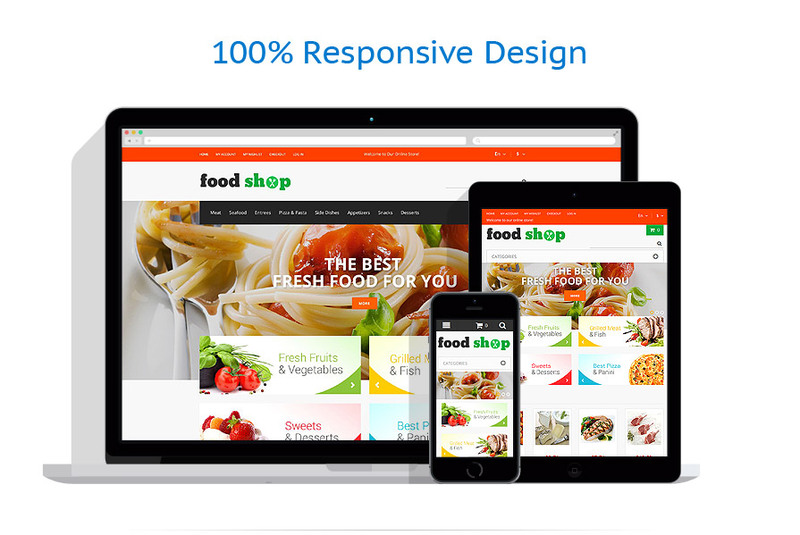 If a visitor of your online food shop feels a sudden hunger, you can be sure that its design has hit the spot. This ready made gustable theme will give the same effect, and your store will have a power of driving the audience in. Sappy red green colors, large images of delicious food, catchy slider make this theme so tasty that it's hard to miss it. The viewers will also enjoy easy navigation, wise search and thus pleasant shopping experience that is a guarantee of their follow up calls. Best for food drink, sport, fashion, beauty, books stores.